Sometimes, clients will come to GN to ask for solutions for their new project. 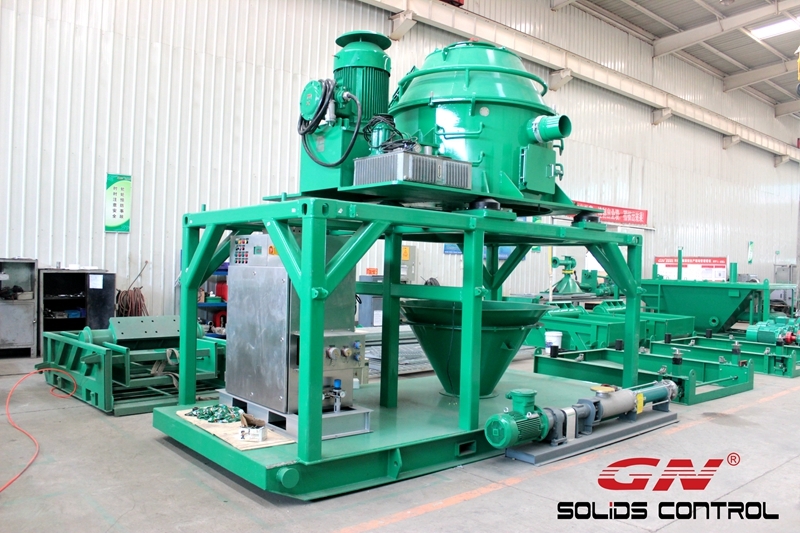 Currently a customer said they were working on a project for their client on the improvement of their solid control equipment, and they ask for support from GN Solids Control. 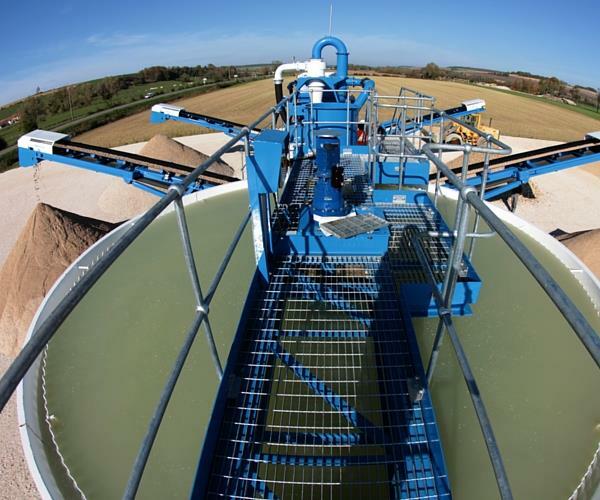 As they know GN Solids Control is a specialist for mud solids control and drilling waste management. And GN Solids Control keeps growing fast. GN promotes new equipment and technologies every year. Their challenge is the short time to present to their client a new idea to improve solids control in their rigs. They need to submit their solutions within 3 days. GN Solids Control has rich experience for the zero-discharge mud recovery system, and offers them suitable solution very soon. Their client is looking for a new technology to increase the performance of standard solid control equipment system, improve quality treatment and consequently improve drilling operations with good environmental impact. Their idea which needs more technical support has as principal innovation from the standard process used currently to provide a separate kit including the following high performance equipment’s: 1) Two Decanter centrifuges with barite recovery 2) Combined mud cleaner with desander (means desilter + desander and shakers with one or double level). As their existing solids control system mud cleaner is very poor quality. They need to replace it. 3) Vertical cuttings dryer. 4) Small tanks to collect the fluids and transfer it to rig mud system As their clients may use oil based mud or water based mud. The cuttings type is not for sure. GN Solids Control recommend them to submitted the new idea to their client with two proposed design for OBM and WBM based on two skid: Modular 1: 1 full set of Compacted mud cleaner (desander + desilter) 2 ea feeding pump for the Compacted mud cleaner (desander + desilter) 1 full set of mud tank to collect the fluids recovered from mud cleaner, and transfer it to rig mud system. The tank system is complete with all pipelines and accessories (valves, ladders, guardrails, clean gate, walkways, etc…) within the tank system, explosion proof lighting system, and explosion proof control system for all the equipment within the tank system Modular 2: 1-skid cuttings drying system. Client can choose to use high G shaker for water base mud or VG dryer for OBM. Screw conveyors for solids transfer also showed for their information. Vertical cuttings dryer is typical processing equipment for drilling cuttings treatment, especially for oil based mud cuttings. It can reduce the oil content in the cuttings to 3 ~5%. In many counties, it is meet the standard for discharge. And the 3 ~ 5% oil on cuttings is easy for transport, and it is easy for next treatment, like thermal desorption unit. Per different jobsite layout, and the diferent jobsite requirement, there are many ways to feeding the drill cuttings to the solidification unit. 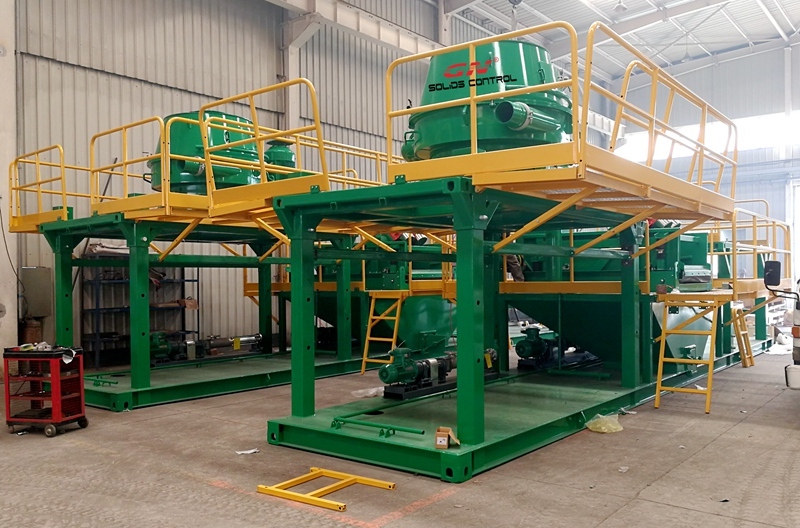 Auger screw conveyor is the most popular way to transfer drill cuttings to the vertical cuttings dryer, especially for onsite treatment system. 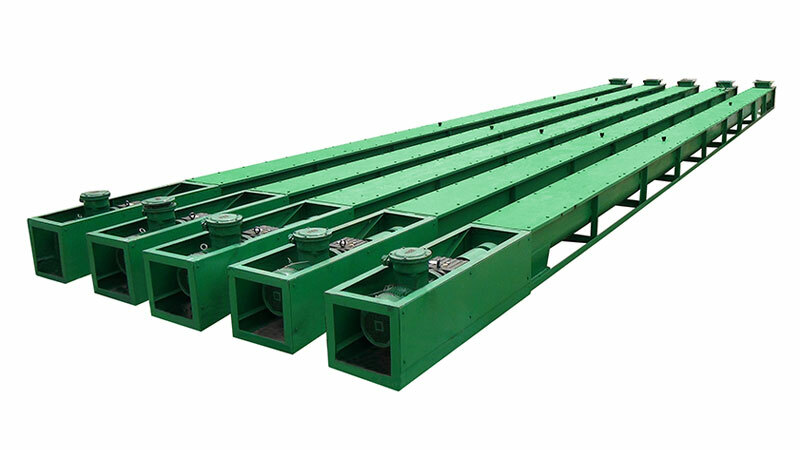 Firstly, there will be screw conveyors to collection drill cuttings from solids control shale shaker, desander, desilter and mud cleaner. And then the second screw conveyor system will transfer cuttings to vertical cuttings dryer. After separation, the clean fluids recovered from solids control treatment equipment (decanter centrifuge excepted) will be feed to high speed decanter centrifuge to reduce the mud then, and then the recovered mud will be qualified for reuse again. But if the drill cuttings is in the waste pit, or the liquid content is very high. Screw conveyor is not suitable. The vacuum transfer pump system has a wide applications. Vacuum transfer system can be used for nearly all applications. The Vacuum transfer system is a 100% air driven system. It can generate high vacuum pressure for long distance suction up to 50 m. The max. transfer length is up to 1000 m. And as there is no rotating parts in the pump. The vacuum transfer pump system allows for high solids content cuttings and big size cuttings up to 170mm. As the vacuum pressure is huge, while the vacuum transfer pump unit is used to feed for the vertical cuttings dryer, there should be some device, like cleancut, between vacuum pump system and vertical cuttings dryer. Option 1 is variable frequency drive (VFD). Option 2 is full hydraulic drive control (FHD). 1) VFD centrifuge is more convenient for maintenance and repair. Because the electric components in the VFD is standard models, most of them are from ABB/Siemens/Schneider brand, the users can source it locally if they need to replace some parts. But the FHD should be repaired by the manufacturer if it failed to work. 2) VFD centrifuge is much cheaper than FHD. Until now there is no many good manufacturer of the core components of the FHD, we have to import, which leads the production cost very high. VFD centrifuge is more popular because it is a cost-effective option. 3) GN Solids Control had noticed to fix the inverter and other electrical components inside the VFD control panel during shipment, so you can be rest assured that they will not be loosed or fall off during transportation. 4) GN Solids Control have protection inside the VFD for Voltage and Current instability when start the centrifuge, if the change of voltage/current is in a acceptable range, it will protect the inverter from being damaged. If you want to know more information of more about the project reference of GN Solids Control, please you contact GN team. In the past decants, economic development is the main concern of most countries and governments. It generates huge quantity of pollutions and wastes. One kind of waste is the polluted soil. Especially the heavy contaminated soil generated from chemical industry and drilling rig and oil field. The contaminated soil contents different kinds of waste oil, heavy oil, lubrication oil, diesel oil, grease oil, chemicals and other kinds of waste materials. The drilling waste can be stocked in the waste pit or collected by trucks or vacuum truck, and dumped near the site work for treatment. The contaminated soil material can be dumped by using bracket loader to the newly supplied pump feeders or screw conveyer to the treating system for cleaning and separation. And then the contaminated soil material can be then transported via a belt conveyer or screw conveyor or other kind of transfer device to cleaning tank. Hot water will be added to the tank, to mix and heat in the washing tank. The cleaning tank is a tank with mud agitator and transfer pump, and with the function of mixing and heating. The mixing tank heating tank can be a vertical tank on Horizontal tank. The mixed heated material are mixed with water and chemical and pumped from the Mix and heat washing tank to Soil Process Tank. In this step, shale shaker can be use to separate solid from liquid. 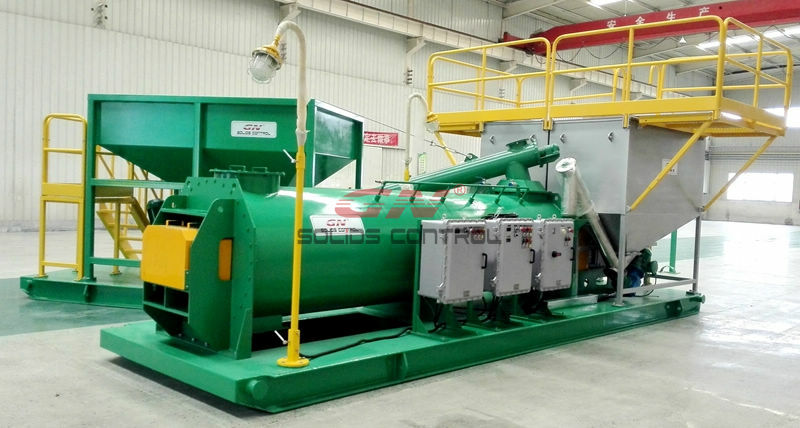 Centrifuge separation system will be followed after shale shaker separation. Chemicals should be added to the centrifuge for a better separation. Most of fine soil can be moved in this step. With chemical dosing, some of the fine soil smaller than 2 ~ 5 microns can be removed. The liquid mixture from centrifuge separation will be moved to 3-phase separation system to separate soil, waste and oil. The recovered water can be reused in this heavy contaminated soil treatment system as dilution and heating water. While the recovered oil can be sell to the oil treatment factories. 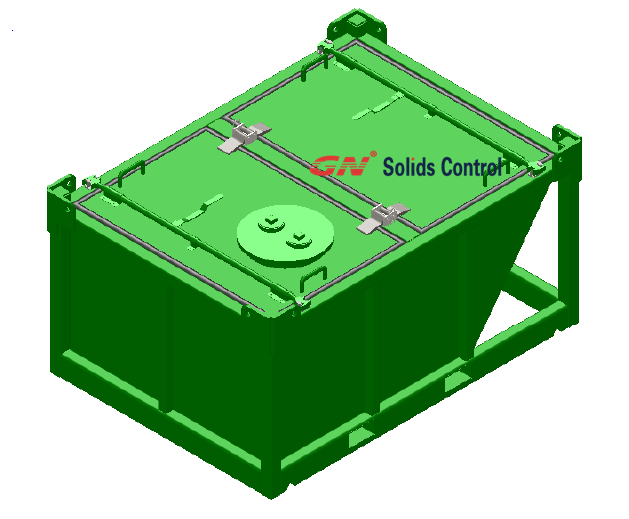 GN Solids control is a leading manufacturing on drilling waste hazardous material transfer. 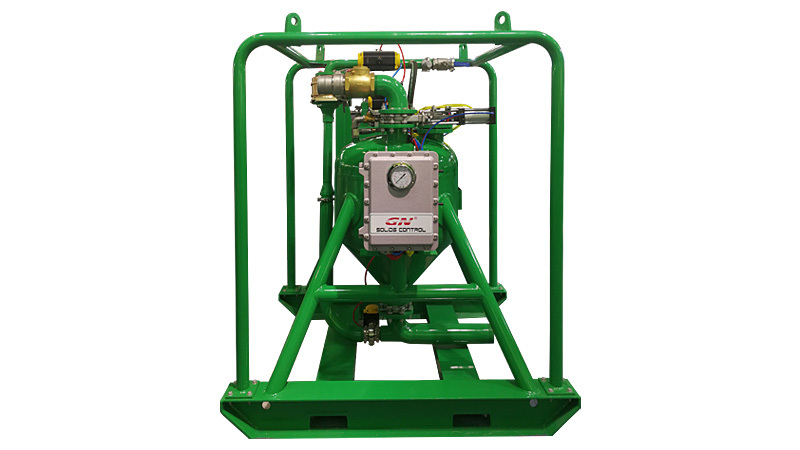 GN offers turnkey solution for different hazardous waste generated from oil field. Below are some major equipment popularly for drilling waste handling. 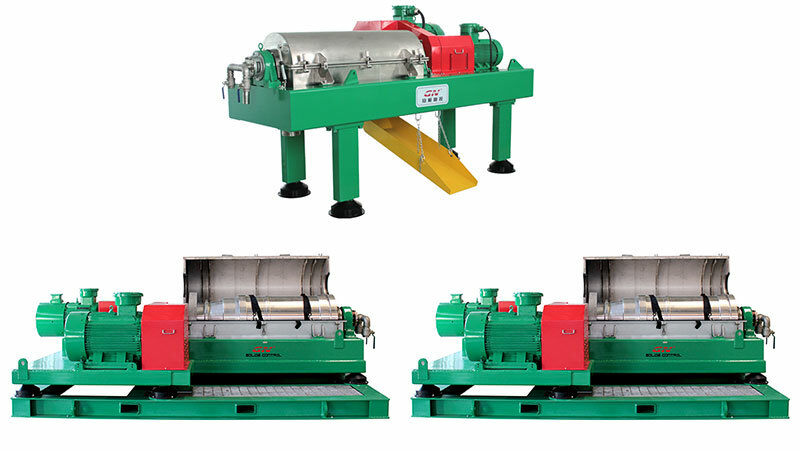 1) The drilling cuttings can be used to collect cuttings from solids control equipment: shale shaker, mud cleaner, desander, desilter and centrifuge, and move to drilling cuttings treatment system for process. 2) The container can be used to collect drilling cuttings from vertical cuttings dryer, High G dryer, and drilling waste high speed centrifuge, and move to TDU or stabilization unit for treatment. 3) The container can be used to store and take waste mud and cuttings from offshore platform and take to the onshore yard waste management system for treatment. 4) The top cover sealing type drilling cuttings container can be used to store and handling hydrocarbon contaminated drill cuttings. The GN drilling cuttings solidification or stabilization unit can be used as the final treatment of drilling cuttings or waste sludge. The stabilizer unit can be used after the drying treatment equipment, like vertical cuttings dryer, high G drying shaker, drilling waste big bowl or high speed decanter centrifuges. Vertical Cutting Dryer utilize centrifugal force to dry drilled solids in oil or synthetic base fluids. A stainless steel screen bowl treat the drilling waste mud with cuttings and waste oil, the centrifugal force can be up 900RPM with G force to 420G or super high speed 1200RPM with G force 750G. Liquid is forced through the screen bowl openings, but the solids and cuttings will be removed by the angled flights attached to the cone, as the cones rotate slightly slower than the bowl. Tungsten carbide material protects the flights from abrasive solids and ensures long operational life. This aids in maintaining a constant gap between the scroll and screen bowl, which is crucial for proper operation. The Abu Dhabi International Petroleum Exhibition and Conference ADIPEC is the most important oil event in middle east and gulf countries. It is an oil show taken in Abu Dhabi UAE every year in Nov.. Around 2000 companies will come for the show, and visits come around the world to find suppliers and clients. The oil show is covering nearly everything for oil industries: off shore drilling rig, on shore drilling rigs, trucks, vessels, pipes, tubes, drill bits, mud systems, drilling cuttings treatment equipment, cables, motors, electrical control system, and so on. 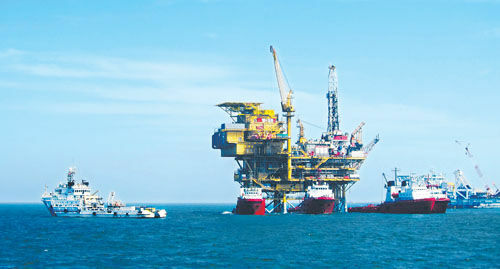 Most of the major oil company, petroleum companies and drilling company will come for the show. 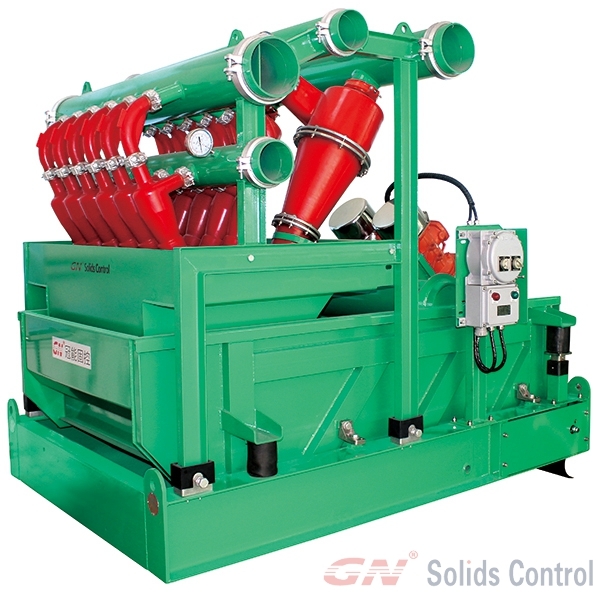 GN Solids Control as a leading brand from China, they come for Abu Dhabi oil show for many time. 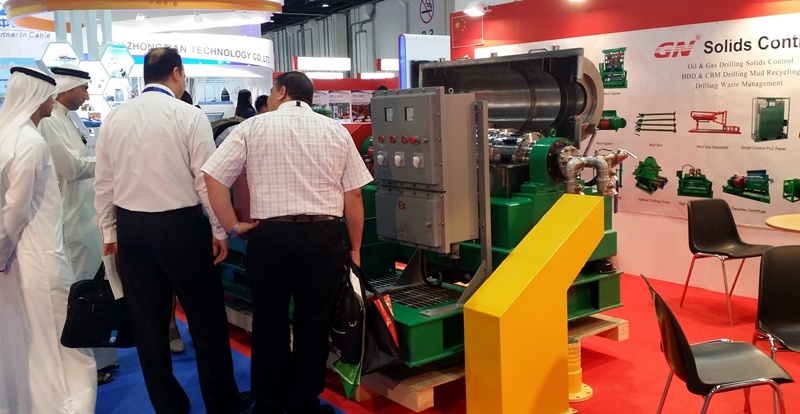 In 2016 ADIPEC, GN Solids Control will take its advanced design 14 inch decanter centrifuge for the show. Clients with interest on GN Solids Control or its equipment, welcome you contact GN group to arrange a meeting with GN people there. 3) The centrifuge can be used in food industry to treat fruits, flour, milk, or any other kind of liquid solids separation.